I was in a store today that sells kerosene. This got me to thinking; Model T's and Fordsons used to run on kerosene. If one were to try that today and use an additive such a 104 octane boost, would you have a better running T than if you ran on today's gas with ethanol? Kerosene has about a 50 octane. The boost isn't going to help much. The old tractors had a small tank for starting on gasoline and a large tank for running on kerosene because it was cheaper. Today kerosene costs a lot more than gas. Cost is the problem, the Kero and what you need to mix with it to match the period Kero, lighting kero is much more refined in todays standards. 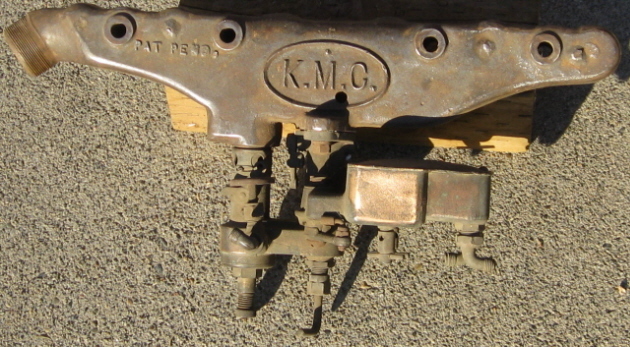 Power kero is or was used to run in internal combustion engines. old engine buffs around our end of the world, if they can't get the Jet A1 or Avtur fuel, will mix 50% lighting kero with 50% mineral turps. Power kero is still a fuel of choice through-out Asia with a lot of big brand name engines like Honda etc built to run on the power kero. I have a kerosene heather that I run on diesel due to the extremely high cost of kerosene. Model T's don't run long on kerosene Terry. Fordson tractors were made to be able to run on either, but they run a lot better on gasoline. Octane 104 raises the octane of gasoline by a couple fractions of a percentage point. In tests it has been shown to raise octane by less than a percentage point, so for example if you use a can of 104 mixed as per the directions on the can with 92 octane pump gas it yields something like 92.2 octane. Can't say I've ever tried it, but I don't believe you will get a T to start on Kerosene, Diesel, or jet fuel on a cold start. 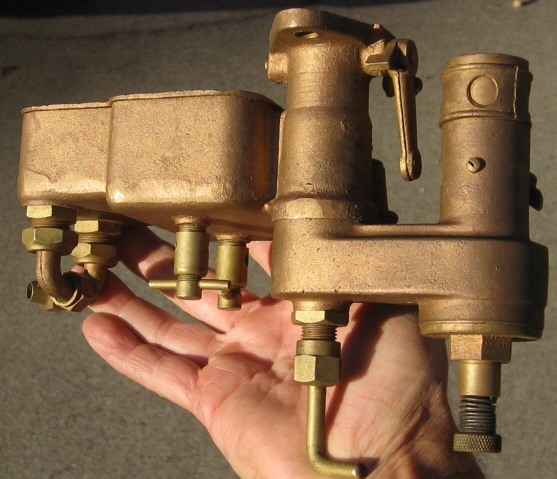 It would probably run on any of them once warmed up, but you had better switch back to gas before shutting down and run long enough to fill the carburetor bowl, or you may be draining said bowl before it ever starts cold. How much was the kerosene? it's 11 bucks a gallon here. It's $7 per gallon here in bulk, a buck or 2 higher in gallon cans at big-box stores. The economics don't add up, but if you wanted to do it as a curiosity, you could. My '25 Touring had a homemade kerosene tank under the back seat when I got it. The fuel line ran from it to a 3-way valve at the carb, and the engine was started on gasoline then switched over. I was told this was very common during WWII. The secret was, the kero line (3/8" copper tube) was wrapped about 4 times around the exhaust manifold, and brazed to it wherever they touched. So, the kero was pre-heated. Without that, I don't think it would have run well -- if at all. 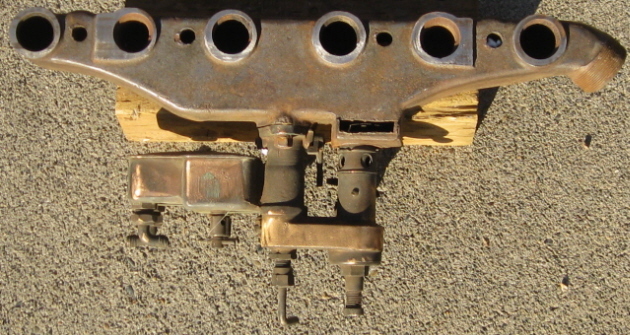 The rear tank, lines, valve, etc. were all plugged up with the residue of evaporated kerosene, which was essentially dried varnish, so I took the whole lash-up off. Those days, gasoline was 32 cents a gallon! Royce, I know T's weren't meant to run on kerosene, but I have heard stories of both them and early GP or CJ2 jeeps running on kerosene, if you got the engine hot enough. Haven't ever done it though. My dad and my grandmother (when she was alive before her death in 1972) used to tell a story about how she gave my dad $1 in 1930 to go in to town to buy a few gallons of coal oil for the lamps. His car was a T made from various year parts scrounged from the town dump. Dad got halfway back from town and had to dump most of the kerosene in his T's gas tank to get home because he ran out of gas. By spinning the crank and advancing the spark half way it started (on mag of course). The T knocked like crazy and smoked so bad no one could see for a mile behind him. He got home with only a gallon of kerosene and the T barely made it. 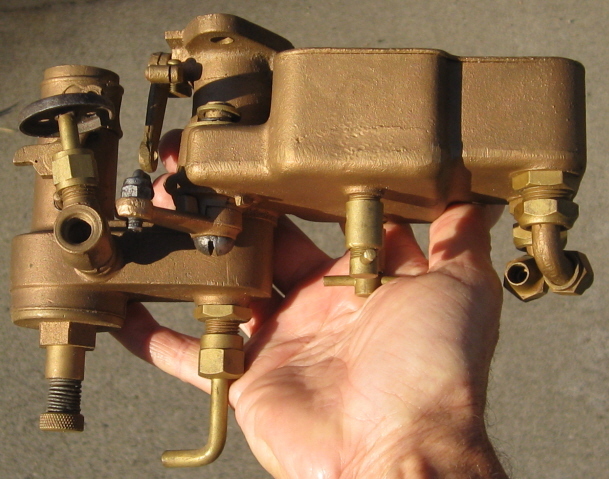 here's an accessory dual gas/kerosene carburetor and manifold setup that allows you to start on gas and switch to kerosene once the engine heated up. I believe it sells here for about $4.29 a gallon at Fleet Farm. I use it to clean parts. It evaporates well once the item is clean. I have a friend 3 miles away who runs his Model T tractor on kerosene after he warms it up on gas.